Be Your Own Detective: Be Your Own Detective - Avoid the "Free Dog Scam"
Be Your Own Detective - Avoid the "Free Dog Scam"
There is another twist on a free product scam. It is free dogs. Usually the scammer is a "Missionary" going to someplace in Africa and has some full breed dogs that need to be "adopted." 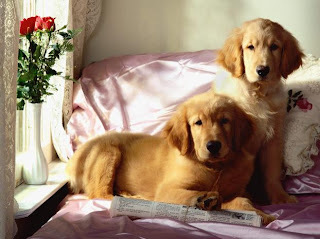 However you will need to pay for the shipping of the dogs and of course some where along the line they want the usual - your name address phone number and bank account. The bad part of this scam is - some scammer saw a real ad and based the scam on the ad. There have been Missionaries that have gone places that need to have their dogs adopted. However - they never have asked for bank account numbers. What has happened now is that as soon as people start seeing an ad about missionaries needing dogs adopted, people begin to dismiss it as a scam without reading the ad through. You can help honest people - just check them out, and be cautious. If need be conduct your own background check.